‘What the L?’ helles-style lager has become even more fitting since the governor got involved this month. For all you non-New Yorkers, a quick (as possible) recap: The L train is a subway that connects Manhattan and Brooklyn, but more importantly, it connects Manhattan’s major Union Square stop with the Bedford stop located in the heart of one of Brooklyn’s most popular neighborhoods, the uber-cool Williamsburg — keeping the line extremely busy. Sadly, the already old tunnel underneath the East River was further damaged during Hurricane Sandy leading to the need for significant repairs. The city originally decided on a “rip the Band-Aid off” solution: shut down the tunnel entirely for 15 months, leaving the fate of the neighborhoods along the L line to fend for themselves. A start date was even announced: April 27. But this month, New York Governor Andrew Cuomo stepped in to alter the plans in an effort to keep some form of service going — and now things are once again up in the air. 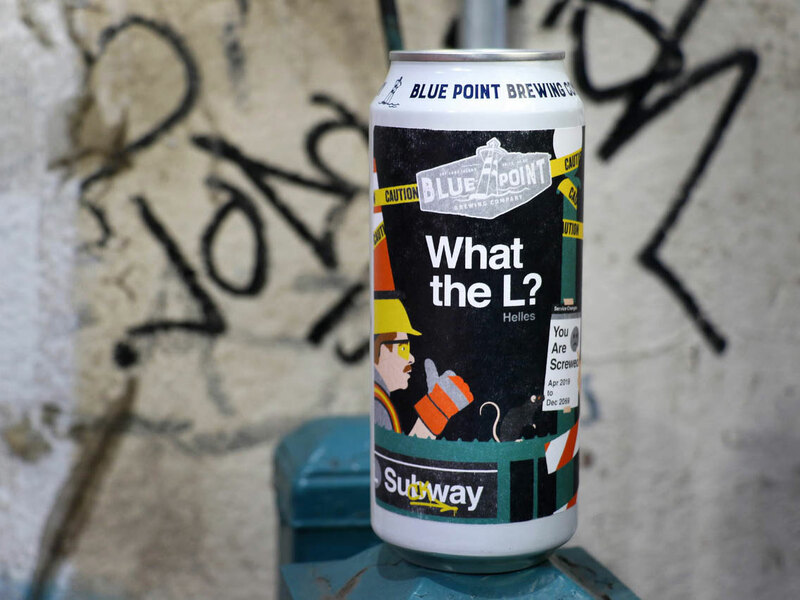 Set to be released in cans only across New York City in April (shutdown or not), What the L? is billed as a 5.7 percent ABV “traditional easy-drinking Munich style Helles Lager” that “is your straightforward and dependable relief from the confusion and uncertainty of the L train shutdown.” As an added subway-themed touch, the can art is courtesy of Winston Tseng, best known for working with the skateboard company Enjoi, but who has also created street art in NYC subway stations in the past.